they are $10 for pack on 10 pairs! OOoh thanks for sharing with us where to buy them Eki~! I can't wait to see your ekiLove update =]~ Good night!! Thanks, Eki for the link and info. Do you know where your friend got them in Cali and what store? I'm from Cali so hope i can find them. Do you also sell things in your blog or only show it? Are the earings and chains the done by yourself or from a shop?? 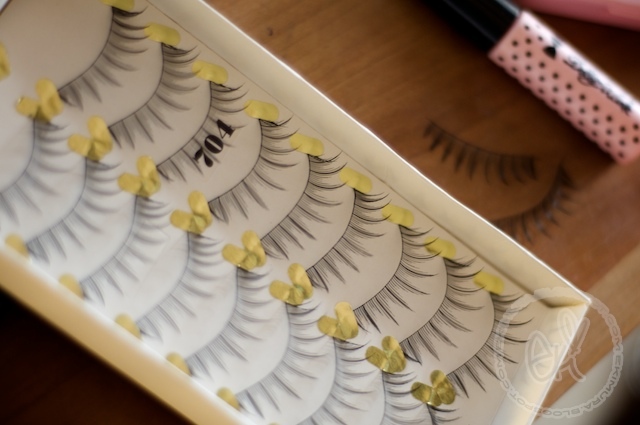 These eyelashes are very cute, but I just check prettyandcute.com and they sell them anymore, do you know where can I purchase the same or similar eyelashes. We selling princess lee eyelashes !